Deeply cut palmate foliage in dense clumps. Rich gold globe flowers, April to May. 60cm tall. 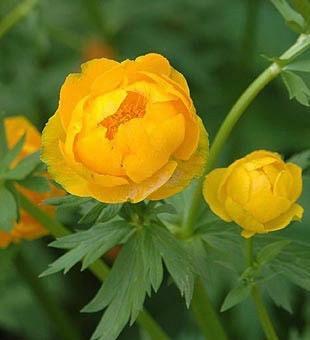 Cool moist soil or bog and flowers in the sun or semi shade.